Can leadership be taught to high school students? Garrett Gravesen and Kevin Scott say it can. “We believe that if you give young people a platform and the opportunity, they will lead,” says Gravesen. 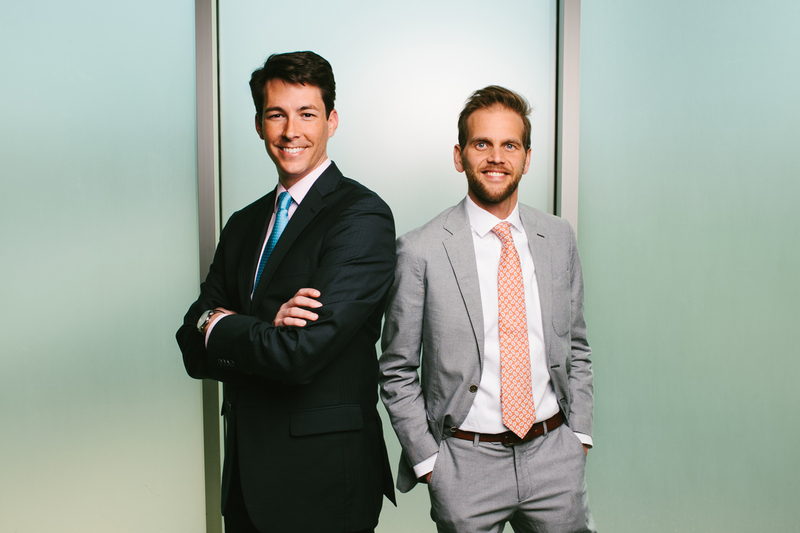 The two college friends, philanthropists, and now business partners share a fundamental, collective belief: young people can change the world. According to Gravesen and Scott, young people possess a sense of blind optimism that propels them to do great things, simply because they believe they can. And they speak from personal experience. An honors program student with an economics degree, Gravesen was focused on a Wall Street career in investment banking. The summer before graduating from the University of Georgia, he secured a prestigious finance internship in Hong Kong. He worked 18 hours a day, six days a week and loved it. But then he had an epiphany. He watched as his boss worked through his anniversary and missed his daughter’s fourth birthday party. “And I remember thinking that I never wanted to be that husband or that father. I needed to know who I was as a person,” he recalls. In an instant he calls “ten seconds of insane courage” – the idea that significant impact in the world can only follow a few seconds of fear-shattering determination – he made a decision: take a year off and volunteer in an AIDS orphanage in Africa. After a year abroad, investment banking was no longer his goal – he wanted to have a positive impact on people who needed it most. Gravesen returned home to take action. He established H.E.R.O. for Children, a non-profit that mobilized college students to help improve the quality of life for children infected with or affected by HIV/AIDS. He found a younger college student, Kevin Scott, to run the organization and help raise money. A few years later, Gravesen and Scott began to think more broadly about leadership development. What if they could teach college students to see and serve the whole world? In another “10 seconds” moment, the two decided to leave behind their careers and comforts to spend 100 days traveling across Africa formulating a strategy. Soon after, they launched Global LEAD (now LeadAbroad), an organization that combines study abroad curriculum with overseas service projects. As Gravesen and Scott traveled the globe, leading college student trips and speaking to emerging leaders in more than 100 countries, they began to wonder: why not high school students? Gravesen agreed that conventional methods were insufficient. “We wanted to create a program that would engage the student, because they’re not going to read the traditional leadership books,” adds Gravesen. The pair got to work, partnering with Chick-fil-A and creating a curriculum of experiential learning for high school students. In 2013 Chick-fil-A Leader Academy was born. Here’s how it works: High school administrators and teachers select 30 students with leadership potential to participate in a year-long program, which is made available for free through local Chick-fil-A restaurant franchise owners. 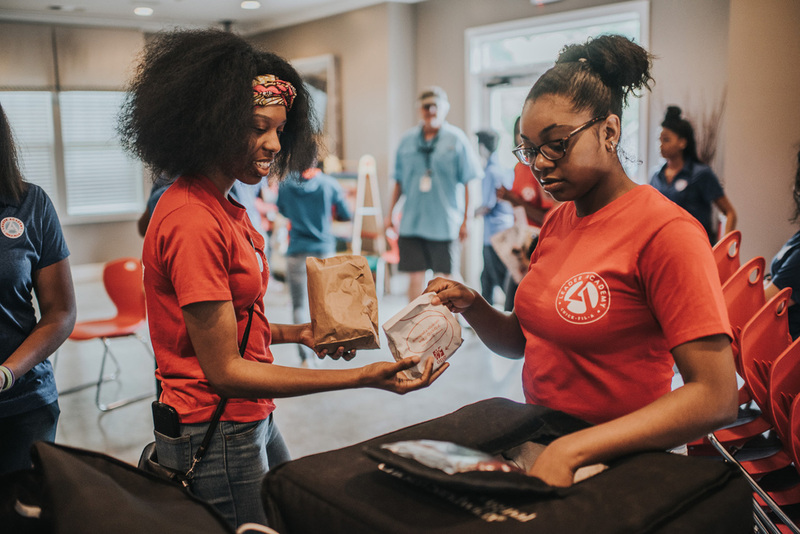 Chick-fil-A Leader Academy students participate in monthly “leader labs” on topics like teamwork, paying it forward, servant leadership and more. At the end of the year, the students apply their skills by planning and implementing a community impact project. These projects are powerful for all involved. Whether it’s students in Cincinnati, Ohio making custom MP3 players to bring back memories for elderly patients with dementia, or students in Summerville, South Carolina bringing the community together for a music festival to raise thousands of dollars in support of a classmate diagnosed with Multiple Sclerosis, the result of each project is a group of students demonstrating leadership in ways that positively and tangibly impact their communities. “Our focus is on creating opportunity for people to shine,” Gravesen says. Today, those opportunities to shine spread across the country. By fall of 2018, Chick-fil-A Leader Academy is projected to be in 900 schools in 35 states with 27,000 students and teachers participating. 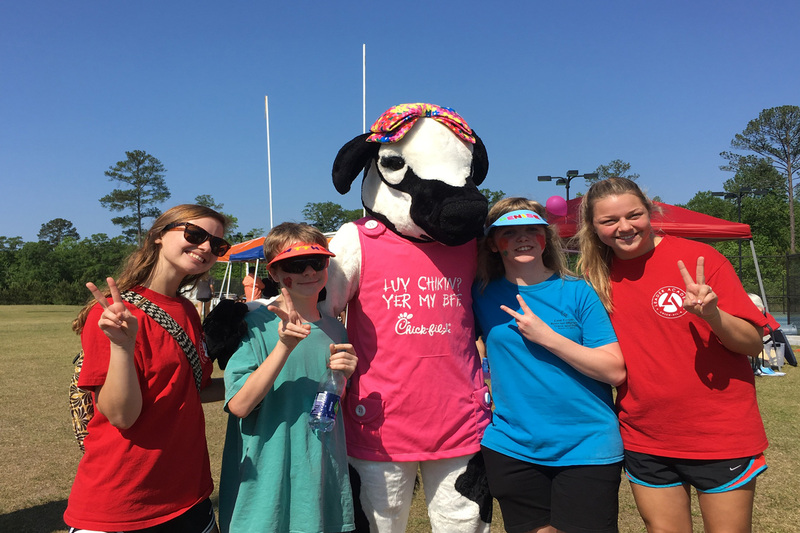 The program is all made possible thanks to over 400 local Chick-fil-A Franchisee Owner/Operators who sponsor this program and make it possible for their local high schools to participate. Operator Todd Langston has participated in Chick-fil-A Leader Academy for three years through his Chick-fil-A restaurant in Wallingford, Connecticut. When Todd began his Chick-fil-A journey, one of his top priorities was making an impact beyond his four restaurant walls of his restaurant. 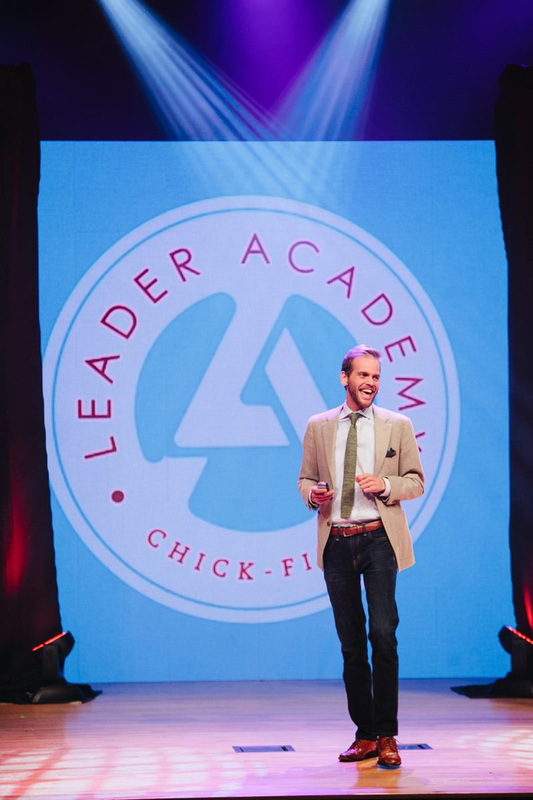 As he and his team began creating their donation strategy, Todd wanted to focus on youth development and leadership, and Chick-fil-A Leader Academy was a perfect fit. “I can’t think of a better way to demonstrate the idea of leadership through service,” Todd says. Now, Todd is involved in two schools in the community and is looking to expand into a third next school year. He takes great pride getting involved in the lives of the students he interacts with year-round, some of whom have become team members at his restaurant. One of Todd’s favorite projects has been taking his Chick-fil-A Leader Academy Students to Masonicare, a senior resident home in their community. The students go room to room with Santa Cow and hang out with the residents for the day. 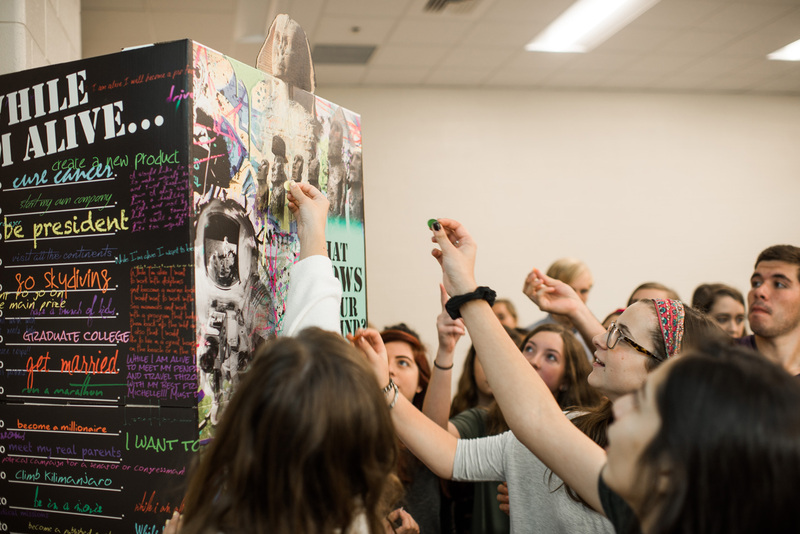 “You can just see that the students felt like they were making an impact—and that was remarkable,” Todd says. And that’s what Gravesen believes leadership ultimately comes down to—getting out of your comfort zone. To learn more about Chick-fil-A Leader Academy visit www.chickfilaleaderacademy.com. Kevin Scott (KevinPaulScott.com) and Garrett Gravesen (GarrettGravesen.com) have both recently published books on leadership and innovation. To learn more visit 8 Essential Exchanges by Kevin Scott and 10 Seconds of Insane Courage by Garrett Gravesen.